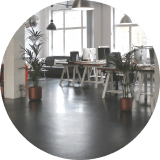 We work with all sorts of businesses, offering a host of general and specialised commercial cleaning services. We can cover all bases in your workplace. Our customers range in size from a few employees to hundreds, from offices to medical facilities to daycare centres. We’re proud that our approach creates a healthier environment for everyone, whether it be in a corporate office – large or small, shopping mall or school. We can deliver regular or periodic buffing and strip and polish service. These service maintain the flooring finish and lengthen the life of the covering. A super eco-scrubber has helped one client to save 40% on water costs and significantly cut the use of cleaning chemicals. Let the sun shine in... A healthy workplace makes the most of natural light. 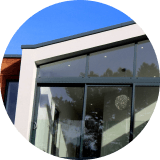 We can take care of both internal and external windows to make sure your workplace is light, bright and looking its best. Crumbs in your keyboard? Our specialist IT clean can make sure your expensive IT equipment is kept brand spanking clean! 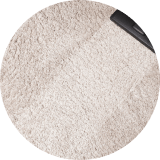 A dedicated team member specialises in carpet cleaning, strip and polish work for us. Normal cleaning of commercial washrooms frequently isn’t enough to keep them smelling fresh and hygienic. A Deep Clean will get into those hard to reach crevices and into the pipes themselves to remove build-up and microbes, as well as any unsightly build up on floors, walls or other crevices. Don't put your staff or visitor’s health and your business’s reputation at risk - order a Deep Clean today. 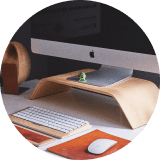 We can also help you to create a more sustainable workplace. 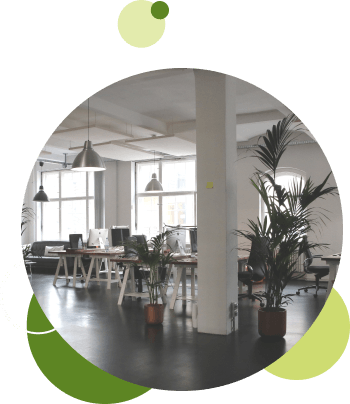 We can advise on disposing of your waste in the best way for the environment and assist you in setting up a system to help create not only a cleaner office but a greener office too. Whether it be a workplace worm farm, composting or biodegradable consumables. We believe in creating healthier homes and workplaces. Healthy homes are happier and less stressful, and healthy workplaces are more productive. We want to help our clients improve the health of their home or work environment, reduce family and staff sick days and improve their wellbeing and business bottom line. We aim to always meet – or exceed – our clients’ service standards and expectations. We know this is top of your list when we begin working with our customers, so our cleaners must follow Clean Planet’s systems, methods and processes. With our professional yet personal service, we will assure the quality and reliability of all our services to you, our customer. "Clean Planet appealed to us when we were on the market for new cleaners because of the environmentally friendly products they use, and the fact they are the ‘sensitive choice’ partner for the Asthma foundation. The communications books also help us to ensure that there is cohesion between what we want cleaned well and what Khan and Sofia deliver – which is always done to an excellent level. We have never been happier with the cleanliness of our office since we started using Clean Planet." "From the initial consultation through to the commencement of service, Clean Planet was proactive, professional and took care of everything. Their regular cleaning audits and willingness to find solutions to any of our cleaning requirements is much appreciated. We are happy with our service from Clean Planet and would recommend them to other businesses." Clean Planet is 100% New Zealand owned and was set up in 2008 by a passionate bunch of Kiwis who recognised the need for healthier, greener business cleaning solutions. They established an ethical commercial cleaning service that was kinder to both people’s health and the health of the planet. How is Clean Planet different from other cleaning companies? 1. Clean Planet was the first Commercial Cleaning company in New Zealand to cease using harsh chemicals in clients' premises. 2. Clean Planet is the only Cleaning company in New Zealand manufacturing our own uniquely formulated cleaning products 3. Clean Planet is only Cleaning company in New Zealand approved as an Asthma & Respiratory Foundation 'Sensitive Choice' partner. How is Clean Planet healthier? Clean Planet is the only Asthma & Respiratory Foundation of NZ's 'Sensitive Choice' approved cleaners. We formulated and manufacture our range of health-focused, environmentally kinder products locally. Our products do not contain chemical culprits such as bleaches, disinfectants, chloride based cleaners, EDTA, dyes and phosphates, and we significantly limit the use of Volatile Organic Compounds [VOC’s]. We’ve also fine-tuned all our cleaning processes to improve indoor air quality and create a healthier home or work environment. What is the 'Sensitive Choice' programme? Clean Planet products are certified by Environmental Choice, New Zealand's leading certification agency of products that are better for our planet. Environmental Choice recognizes the genuine moves made by manufacturers to reduce the environmental impacts of their products, and provides a credible and independent guide for consumers who want to purchase products that are better for the environment. Clean Planet is also part of the Sustainable Business Network, a membership-based social enterprise that helps business succeed through sustainability. Their vision: to make New Zealand a model sustainable nation. What security checks do our cleaners have? All franchisees and their staff are required to undergo police security checks. You can be assured our cleaners have been thoroughly vetted. 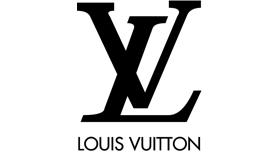 They must wear uniforms while on the job, meaning our staff can be identified as being involved in the cleaning of your site. They wear photo ID badges, maintaining a secure environment and allowing you to identify our staff. Establishing a safe workplace or home environment is a fundamental requirement, and Clean Planet’s policies enhance security and safety. Are Clean Planet cleaners employees or Franchisees? 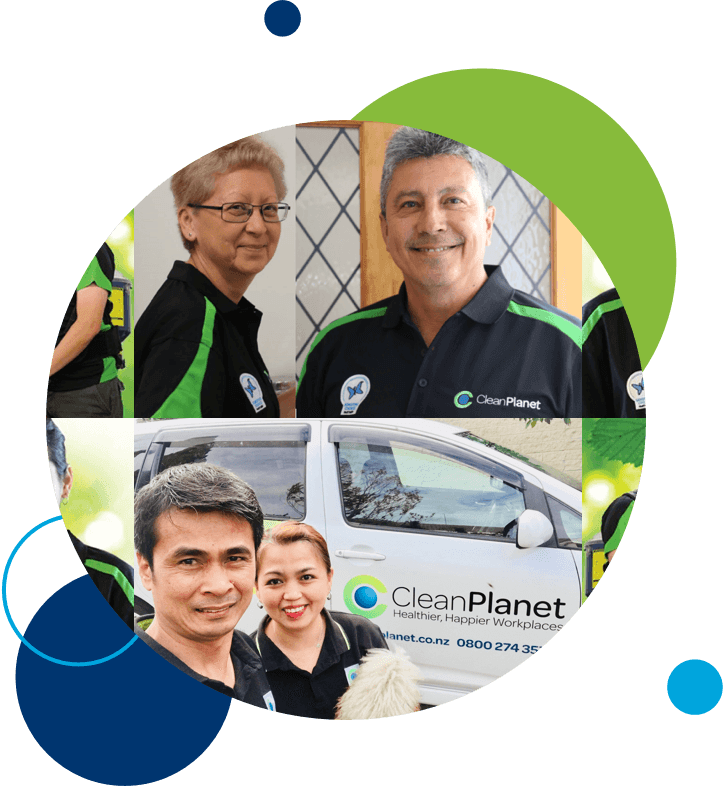 Clean Planet's cleaners are franchised owner-operators, meaning they have paid for the right to represent Clean Planet and have a vested interest in maintaining excellent customer relationships - they have 'skin in the game'. While other cleaning companies can have employee turnover of 100% or more per year, Clean Planet franchisees remain with the compnay on average for 4 years or more, so you can be confident you are being looked after by experienced industry professionals. 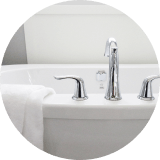 Are Clean Planet cleaners insured? Yes. All Clean Planet cleaners must subscribe to the comprehensive Clean Planet insurance group plan, giving $20m+ in cover. What do I need to do if I need to change my cleaning schedule? Please contact Clean Planet; phone 0800 274 355 or see 'Contact' details on website. What training do Clean Planet cleaners get? Clean Planet cleaners get full theory and proactical in-house training to NZQA standard. They then get put alongside an existing cleaning team in a 'buddy' training system before being able to clean by themselves. Results are regularly monitored via spot checks, and customer feedback. How do I ensure service levels are maintained? Give Clean Planet and your cleaners feedback! Tell us what you like, or what could be improved. Either contact your cleaners directly, contact Clean Planet on 0800 274 355, or see 'Contact' details on website.